Having an iPhone that is locked to a particular carrier can be very frustrating. Maybe the carrier does not offer the best products, maybe it is expensive or maybe you are in a country where the carrier is not recognized or does not exist. The only option you have is to unlock the iPhone so that it can use other SIM cards. In this article, we are going to show you how to unlock iPhone from a carrier. Part 1: What You Will Need to Unlock iPhone from Carrier? What You Will Need to Unlock iPhone from Carrier? Overseas deployment plan. This is for those who are in the military and wish to unlock their iPhone before the contract between them and the carrier is up. 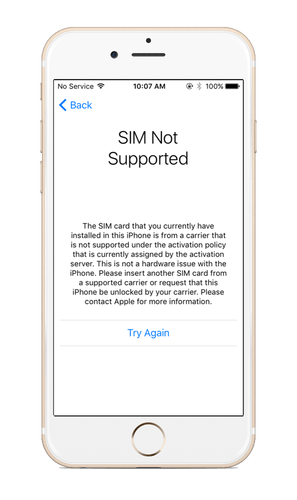 With these pieces of information, you can now proceed to unlock your iPhone from the carrier and make it accept any other SIM card. If you are in the military and you are about to travel overseas, it is the obligation of the carriers to unlock your iPhone when you request them to. Step 2: Gather the information your carrier will need to unlock your iPhone. Your account information, including name, phone number and your PIN or Social Security Number. Other relevant information. This might be your current plan, a valid contract, the number of years you have owned the phone and so on. Step 3: Call or visit your carrier’s location and ask them to unlock the iPhone. Once you have all the required details, you should now visit or call your carrier. Once you have proved ownership of the account, and that you have met all the terms and conditions set before unlocking is done then your carrier should unlock the iPhone for you. The above mentioned method is available for all iPhone models including iPhone XS Max/XS/XR/X/8 (plus)/7 (plus)/6s (plus)/SE/6 (plus)/5c/5/4, etc. Bonus: How to Unlock iPhone without Passcode? 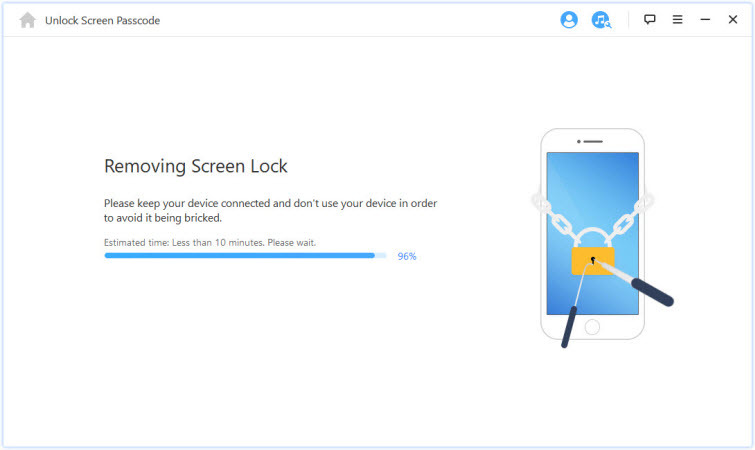 If your iPhone get locked by the screen lock and you do not want to go through the long and tedious process of contacting Apple to unlock the iPhone for you, you can use a software program to help you. iMyFone LockWiper is the ultimate iPhone unlocking tool that will unlock your iPhone in few minutes. Removes Screen Lock -With a few clicks, you will be able to disable or remove the screen lock on your iPhone enabling you to operate your device with ease. Supports Locked, Disabled, Broken iOS Screen - iMyFone LockWiper works perfectly on locked, broken iOS screen or disabled iPhone without hassles. Cross-compatibility -This tool is compatible with the latest iPhone models, iOS 12 as well as the earlier versions. iMyFone LockWiper is fully compatible with latest iOS versions and all models of iPhone, iPad and iPod touch. It’s also highly recommended by professional software review sites, including SOFTPEDIA, download.hr, iOS HACKER, etc. Step 3: Put your device in DFU/Recovery Mode. 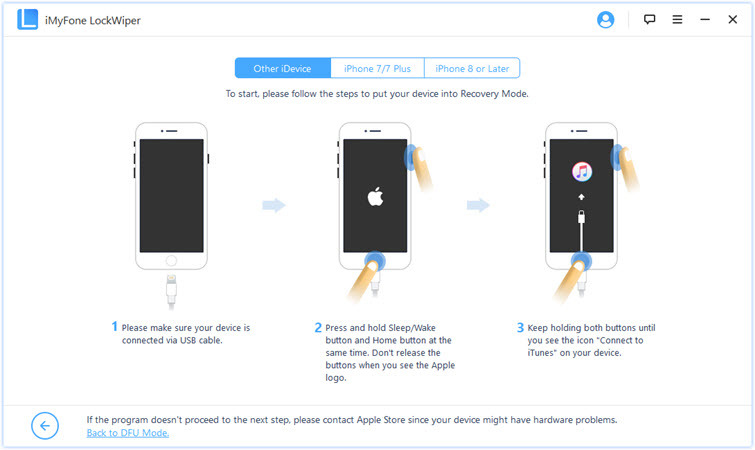 Follow the instructions on how to put your device in DFU or Recovery mode. 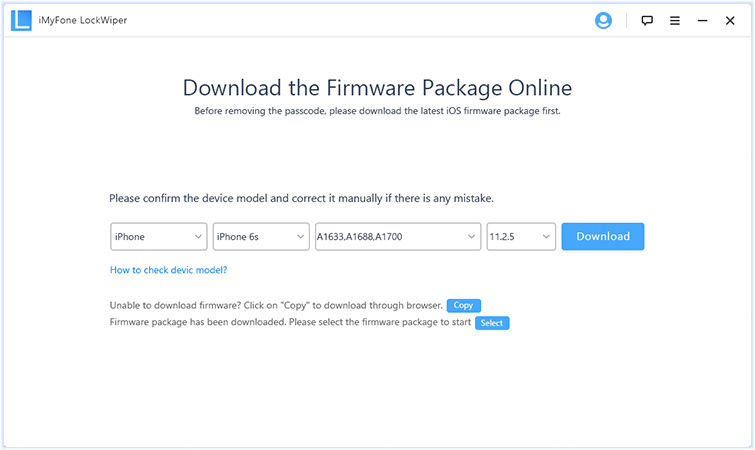 Step 4: Download the firmware package. 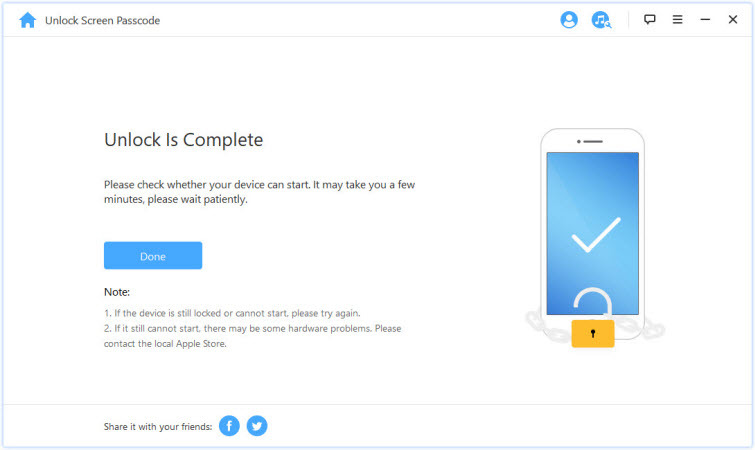 After the program has detected your device, you will have to download a firmware for your device and then click Start to Verify for the tool to verify that firmware package is compatible with your device. Step 5: Click on Start Unlock button to commence the removal of the screen lock. You will be prompted to enter a confirmation code, enter 000000 and click Unlock. Wait for a few minutes and your iPhone will be unlocked.